ellehermansen: Quinny: Buzz 3 Stroller! It's been a few days since I've posted and all I have to offer is my pregnancy brain! One of the first big purchases that we made was our stroller and we were looking for something that was very Euro-chic, as I just moved back from Norway and everyone was driving their Bugaboo's around. 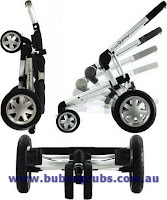 As much as I love the Bugaboo, it was a little out of our price range - and I had many days of feeling sad, thinking; "which stroller will ever live up to that one? What will compare or complete me?". Then one day, after some proper researching, it came to me! The Quinny Buzz 3 that is, and I won't look back at any other brand! We got it exactly as the pictured above in "Rocking Black". The really nice thing about this stroller is that it offers automatic unfolding, so when you take it out of the trunk you just hit this clip with your foot and bam! It goes up quickly with air pressure - in a jiffy! 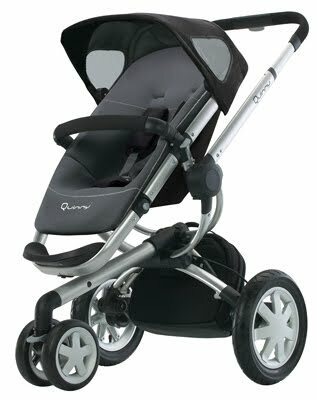 The beautiful thing about the Quinny Buzz is that when you are pushing it, it's like being in a figure skating competition, with every little wind and turn a thing of perfection. This stroller is bound to win a gold for its oh-so-easy-to-get-around-anything/anywhere-techniques. I can spin this thing into pirouettes! Lovely! It also came with great accessories, including the wind and rain cover, along with a bug net. I love that! Because owning an old-style baby carriage is considered unsafe, the closest I get to looking like something similar is the wonderful "Quinny Dreami" bassinet in the colour "Juice". We purchased this a couple of months later. It's great because you have the option to take off the front cover, as they also offer you a super nice Quinny fleece blanket for extra warmth and extra sleepy times. The Dreami also comes with the wind and rain cover along with the bug net. Check out more about Quinny and other products they offer, in a range of beautiful colours! I promise that you won't be disappointed! I highly suggest this stroller to mothers, and mother-to-be! Great post about Quinny Elle - it's nice to finally see this stroller get some play! We LOVE the Quinny for it's sleek style, affordable price point (well, affordable for modern anyway!) and it is the most plug & play stroller we've ever experienced. 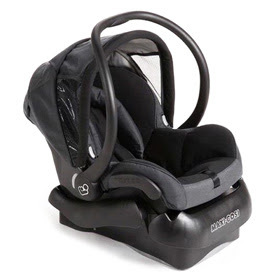 The maxi cosi adapters come included with the Quinny (as does every other accessory excluding the bassinet) and the car seat and the Quinny Pod just snaps in and out - no learning curve! 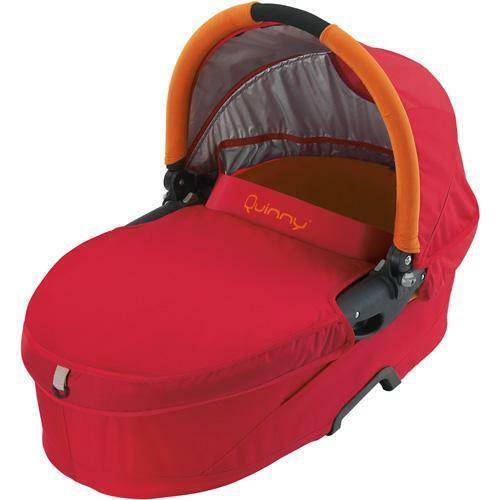 Super light, compact and easy to fold - the Quinny base fit in the back of my sports car with room to spare! You will LOVE this stroller when you get to test it out with baby! This stroller is AMAZING and is really fail-proof! I will let you know how it is when the little one arrives ;) Six more weeks! Thanks again for checking out my post and I will definitely forward people to your page if they are interesting in Quinny! I love your store it's so addicting to browse around in! I will be buying something real soon!